Section 2. On Sunday, January 18, 2015, the Seattle Seahawks opponent in the NFC Championship game will be the Green Bay Packers, a.k.a. Cheeseheads. Fans of the Green Bay Packers are frequently seen wearing obnoxious wedge-shaped foam hats painted yellow. Section 3. 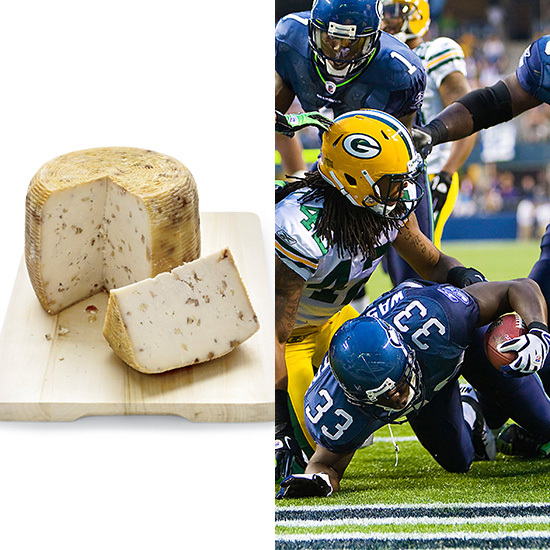 Due to the relationship between the Green Bay Packers, their fans, and cheese, the possession of and/or consumption of cheese or cheese flavored products shall be banned in Bainbridge Island City Hall on Friday, January 16, 2015. Section 4. The Director of each Department shall take such actions as may be necessary to implement this order. It is, of course, just part of the silly season of professional sports that happens when we get down to the championship games, with various mayors using their cities’ favorite foods as betting props (“I’ll bet you a vat of our clam chowder against a metric ton of your apples” or something similar). But outlawing cheese and cheese-flavored products is a bridge too far, Bainbridge!